For many, the Ultimate Fighting Championship is synonymous with mixed martial arts. While the Las Vegas-based promotion is undoubtedly the premier — and largest — MMA entity in the world, there have been several notable competitors to the throne over the years. In time, the UFC bought out much of the competition, but there has always been another organization waiting in the wings. Here are a few things you need to know about the history of the UFC’s competition. 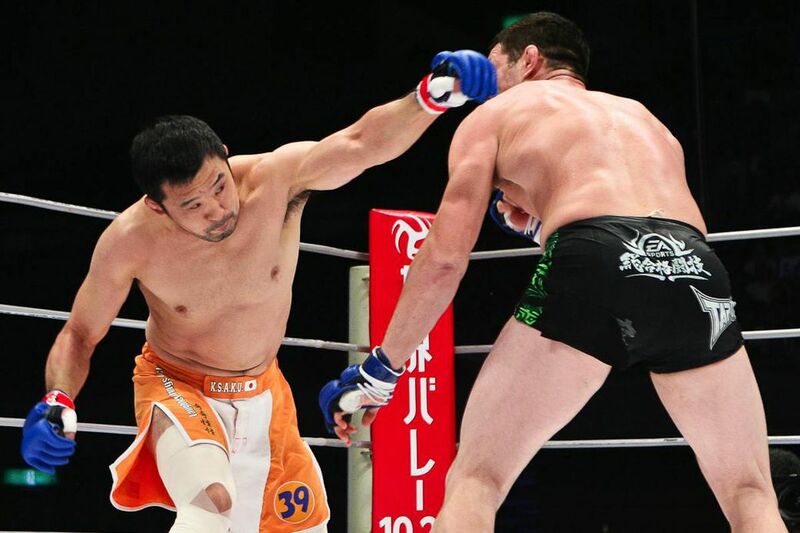 The Japanese MMA organization Pride Fighting Championships, founded by Nobuyuki Sakakibara and Nobuhiko Takada, debuted in the Tokyo Dome on Oct. 11, 1997 and for the next 10 years, was one of the most popular promotions in the world. Pride was home to fighters such as Fedor Emelianenko, Wanderlei Silva, Mirko “Cro Cop” Filipovic, Quinton “Rampage” Jackson, Antonio Rodrigo Nogueira, Kazushi Sakuraba, Mauricio Rua and Dan Henderson, to name a few. However, after a successful and memorable run, Pride was sold to Frank and Lorenzo Fertitta, the then owners of the UFC, and the promotion shuttered its doors shortly thereafter, allowing many of its biggest stars to compete in the Octagon. Once upon a time, the UFC didn’t have weight classes below 155 pounds. When Zuffa, its parent company purchased the California-based World Extreme Cagefighting in December 2006, those smaller athletes got a chance to shine. Under Zuffa ownership, the WEC placed a major emphasis on the featherweight and bantamweight divisions until the promotion merged with the UFC at the beginning of 2011. Today, the UFC has champions in three men’s divisions — flyweight, bantamweight and featherweight — below 155 pounds. Affliction Entertainment, a fight promotion created by a clothing company of the same name and supported by none other than current U.S. President Donald Trump, had a short but explosive stint in the MMA world. The organization debuted with Affliction “Banned” on July 19, 2008, with a card headlined by a heavyweight bout between Fedor Emelianenko and Tim Sylvia. The event also featured stars such as former UFC heavyweight champions Andrei Arlovski and Josh Barnett as well as former UFC light heavyweight king Vitor Belfort. The second Affliction offering was similarly star studded, but the company folded before its third event. On July 24, 2009, Affliction folded and announced it would become a UFC clothing sponsor. Originally founded as a kickboxing promotion that only held cards in California, Strikeforce gradually evolved into something much bigger. 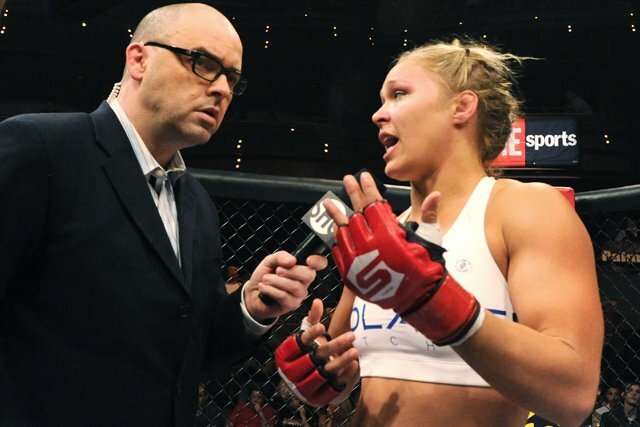 With Scott Coker running things, the organization had broadcast deals with CBS and Showtime and produced a number of notable talents, including groundbreaking female superstar Ronda Rousey. In 2011, Zuffa purchased Strikeforce, which continued to operate independently until January 2013. At that time the likes of Rousey, Daniel Cormier, Luke Rockhold and Tyron Woodley became part of the UFC, further deepening its talent pool. 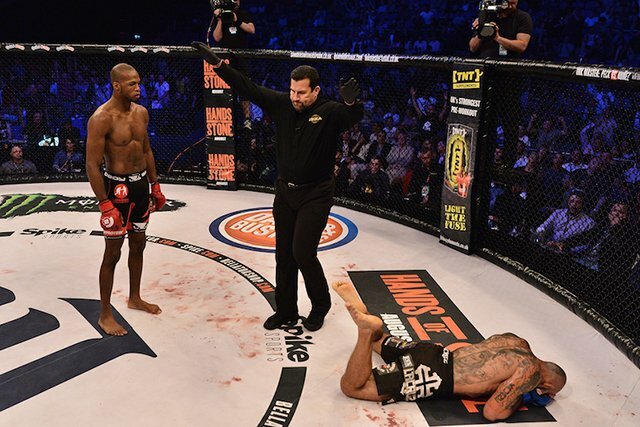 In the current landscape, Bellator MMA is clear top challenger to the UFC’s dominance. The promotion began in 2009, and under the guidance of then CEO Bjorn Rebney, become known for its bracket format, known as “The Toughest Tournament in Sports.” That concept was scrapped when a familiar face took over in 2014, as Scott Coker was named Bellator president. Since then, the promotion has attempted to strike a balance between signing big-name free agents and highlighting its own developed talent. With a stable broadcast home on Paramount Network and a deep-pocketed parent company in Viacom, Bellator is the only true competition the UFC has today.